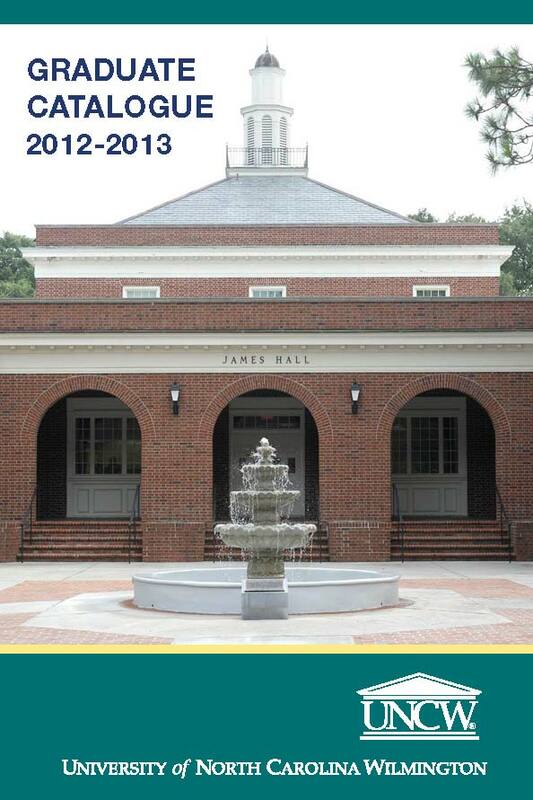 Although the University of North Carolina Wilmington has made every reasonable effort to attain factual accuracy in this catalogue, no responsibility is assumed for editorial, clerical, or posting errors, or errors occasioned by mistakes. The University has attempted to present information that, at the time of preparation, most accurately describes the course offerings, faculty listings, policies, procedures, regulations and requirements of the University. However, it does not establish contractual relations. The University reserves the right to alter or change any statement contained herein without prior notice. All provisions, regulations, degree programs, course listings, etc., in effect when this catalogue posted online are subject to revision by the appropriate governing bodies of the University of North Carolina Wilmington.